The Chance Totem (運試しストーン?) is a treasure in the game Pikmin 2. 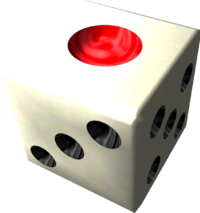 This item is a white six-sided die, the '1' being a red dot. It is found in the Awakening Wood above ground, and is located near the Bulblax Kingdom entrance and the ultra-bitter berry-bearing Burgeoning Spiderwort. 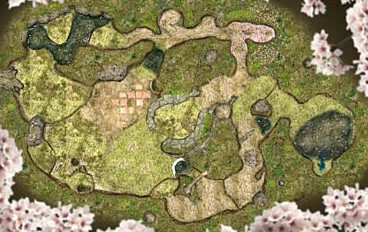 To get it, destroy the poison gate and use the scales to reach it, or destroy the gate in the small pool of water near the landing site. The Chance Totem being analyzed. A dice block from the real world. This page was last edited on December 12, 2018, at 17:06.